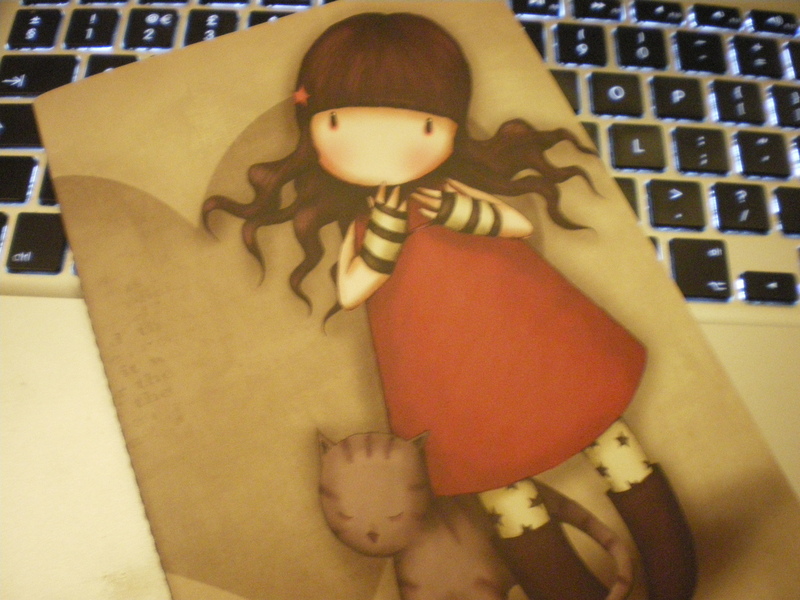 Today I am having a look at a pretty notebook designed by Scottish Company – Gorjuss. Their stationary products such as Notebooks are available to buy at the Santoro London online store. Above is one of many designs that the A5 Stitched-Spine notebooks come in. I chose to buy this one because I love cats. 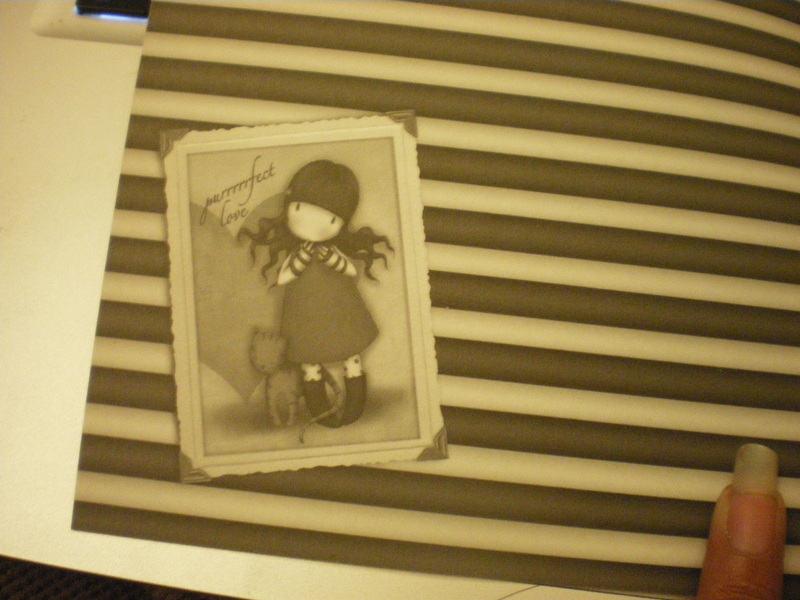 It is a very slim notebook (60 pages of 80 gsm paper) with lines and plain pages (with the “Gorjuss Girl” on each page). ooo, Ive got exactly the same one! However while it is rather pretty to look at, and the paper feels nice under the hand and pen, I must say I am a fan of ‘ fat’ notebooks such as those trotted out by Emma Bridgewater; I have several, but the’hearts’ range is particularly close to, well, my heart because it contains a mix of lined and plain pages; the plain pages are great for spidergrams and other doodlings and the lined ones are just feel nice when writing on them. Minxy, glad you have been dropping by. I love EB everything generally (not just notebooks). Mixed paper ones are def the best. 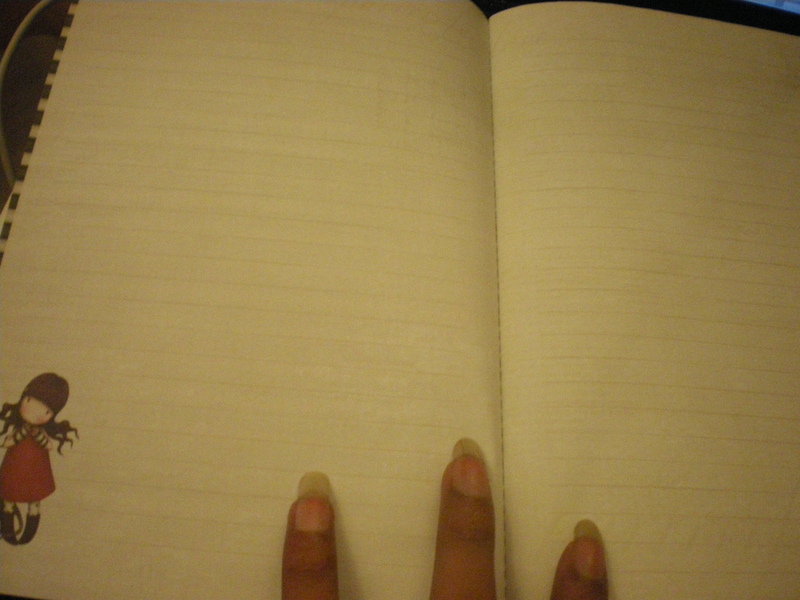 I Love a good solid notebook, but I keep a collection of exercise books to keep in my bag. light and bendy.